Marijuana contains several chemicals including the potent psychoactive substance tetrahydrocannabinol, or THC. The positive effects of THC include pain relief and appetite stimulation. However, negative side effects also exist including disorientation and altered perception. 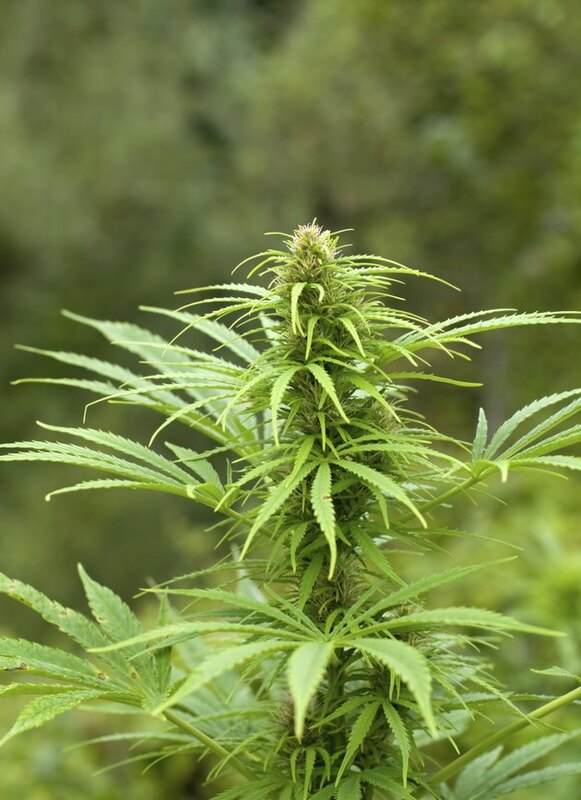 Use of the cannabis plant remains controversial since it is illegal. However, the last few decades have found medicinal benefits of using this drug to treat symptoms associated with cancer and HIV. Prescription versions of synthetic THC exist, ideally offering the same benefits as the marijuana plant. According to the federal Drug Enforcement Agency, the prescription alternatives offer a safer means for treating targeted symptoms. The Food and Drug Administration approved the use of dronabinol capsules in 1985. Comparatively, dronabinol contains similar active ingredients present in the plant version of marijuana. Initially this medication had use for treating nausea and vomiting associated with cancer chemotherapy. In late 1992, the FDA found additional use for this drug in treating symptoms associated with HIV/AIDS weight loss from lack of appetite. Much like marijuana, this medication has side effects including anxiety, elevated mood and unusual thoughts. A 2004 study reported in Neuro Endocrinology Letters concluded that cannabinoid properties like that in dronabinol have significant therapeutic benefits for treating symptoms associated with other disorders of the central nervous system. In 2006 the FDA approved a synthetic cannabinoid called nabilone. This drug is not considered a natural botanical, which is why the FDA did not approve nabilone in 1985 when it was originally introduced. Nabilone is taken as a capsule to treat nausea and vomiting associated with cancer treatment. Nabilone has similar side effects to marijuana use such as confusion, drowsiness and elevated mood. The U.S. National Library of Medicine warns that this drug has the potential for abuse and psychological dependence. Dronabinol and nabilone, currently are the only FDA approved prescriptions available as substitutions for marijuana. Ongoing research reported in the "Journal of Neuroscience" in 2005, indicates potential future synthetic cannabinoids with a possibility for medical use. The cannabinoid research is focusing on a drug currently titled WIN55, similar to THC but with a different chemical structure and HU-210, a more potent synthetic to THC with extended duration of action.